If you are used to my other content you’ll know I work with senior management teams around the world, helping them build brands that align their organisations to the opportunities of the digital economy. To achieve this I introduce my clients to a process I call Brand-Led Business Transformation that I’ve evolved to help business leaders avoid the 70% failure-rate currently being experienced by transformation projects. As the title suggests, I do this by prioritising brand development and using the brand as the focal point of transformation and driver of everything that happens in the organisation. Transformation is a complex process and requires the orchestration of innumerable disciplines. The nature of video technology means that it features prominently in everything I do and what I hope to do here is put this in perspective a little and highlight some of the factors that mean you can’t afford to exclude yourself from the unique benefits of this essential tool. So here goes. Despite the state-sponsored pillaging of Dr. Richard Beaching in the sixties, British Rail today still owns and manages over 20,000 miles of track. I doubt many of you will have given much thought to how they keep an eye on the health of this infrastructure and I’m sure you’ll be surprised to learn how the subject relates to the story of modern-day content marketing, but it does and here’s how. Contrary to what the media would have you believe transformation is nothing new. It’s been happening constantly since the beginning of time, usually driven by the emergence of new technology and the only thing that is different now is the pace of change and the massive increment in acceleration driven by digital technology. I’ve been helping organisations navigate their way through changes like this for my entire working life and one of these, a couple of decades ago, was a business whose role was to keep a watchful eye on the condition of British Rail track. They were a prime example of how technology has always driven improvement in business efficiency which, fundamentally, is what business transformation is all about. They were disrupters of their time because they didn’t, as had been the practice until then, employ an army of men to walk the track day-in-day-out and report back on what they discovered. They were also typical of today’s disrupters because they hadn’t originated in the transport business, but arrived, unseen by traditional operators, from an adjacent sector. Their speciality was video compression and they had applied their know-how to the matter of track inspection by strapping what we laughingly referred to as high-speed video cameras to the underside of trains and feeding images of the track, in real time, back to a nerve centre, where engineers could view them and prepare reports in comfort. At the time of my involvement they were also already looking at technology that would do the “viewing” for them – early stage Artificial Intelligence, if you like. Their initial offer was very clunky by today’s standards. You have to remember this was in the early days of the Internet data speeds were sedentary and these and other video files were moved around using satellite links, which were very costly, required expensive equipment and were restricting because you had to book fixed windows of time in advance with the operators of the data channels. The owners of this business were ahead of their time in many ways and realised that the success of their business wasn’t down to the solution or product they were offering, but the thinking and core skills behind it. They hired me to help them identify different ways they could apply their core skills and know-how in new areas of business. While all this was going on in a sector far, far away from the world of rail transport., another revolution was taking place and I was involved in that too as an advisor to one of the leaders in the field, which we referred to at the time as “corporate TV”. This emerging new marketing communication channel was, like many other innovations, a happy and accidental by-product of a need by the automotive industry to take control of the way their franchise dealers represented their vehicles and marques or brands. They were working on what we today would call webinar-type format using TV technology and studios to produce live programming broadcast on satellite networks for their dealers to tune-into and watch at a regular weekly slot. This was the forerunner of today’s internal marketing, designed to impart sales information and tighten up the brand. However, the costs and technical limitations made it tough for these early pioneers. Like the rail inspection company, the companies producing this early content were using expensive satellite technology and were confined to fixed time slots. Only clients with deep pockets could afford to join in this new form of marketing until the Internet matured a little and it became possible to do the same thing on-demand. One of the innovations I developed with the rail inspection company was a concept we called “Store TV”. This leveraged the organisation’s expertise in compression to deliver video via the Internet ahead of the market. Aimed at retailers, Store TV provided an in-store TV channel that could carry advertising from manufacturers and features that the retailer could leverage to promote its own promotions and introduce new products. It’s an indication of how far ahead of the game these entrepreneurs were that it wasn’t until recently that that I was involved in a similar concept with Bruno Brookes’ Immedia Broadcast who produce tailored, live radio stations for retailers and other organisations. These days content is the primary marketing channel for many businesses and a growing number of these concerns are already adopting video as the medium of choice. 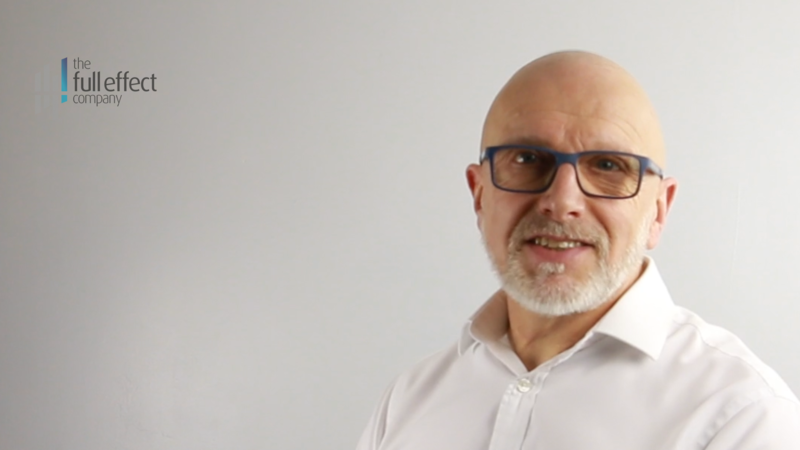 With increasing frequency I am encountering organisations that have an in-house video production resource and I’ve worked with two of my clients to build in-house broadcast quality video/TV studios. As with any new toy especially in the digital age, the rush to adopt brings a mass of people who are learning on the job and the result is a deluge of very average and uninspiring content. The digital community philosophy isn’t helping this by encouraging people to produce content with an emphasis and quick and easy production. There’s something to be said for moving quickly to grasp the opportunity offered by this new tool, but it’s all staring to look a bit like wallpaper, with few cut-through formats. As a result, it’s currently estimated fewer than 10% of content campaign produce a result. Despite what many so-called experts advise the facts suggest you shouldn’t sacrifice design and production values for the sake of a quick fix. There are far too many businesses now emerging with high-quality video content to waste your time and money on a half-arsed challenge. One such business is a Midlands-based consulting, marketing and training company I spent some time with recently. Training plays a central role in re-branding and transformation and the smart founder of this business was quick to spot the opportunity. They have built a large and impressive studio and are accumulating an impressive archive of on-line video training content. I guess there will always be a place for classroom training, but I believe it has a limited future. There’s far too much training needed in today’s organisations to rely traditionally unpolished on expensive and workshops. We are after all in the digital age and the solution every business needs is on-line. So, my question to you is “what plans do you have to leverage this relatively new video capability?”. You can’t escape the need to join in. Like everything else in the digital revolution if you don’t jump on board your chances of surviving the next three years are minimal. The point is, you need to think outside the box to achieve the cut-through and engagement required to deliver the results content done well can deliver.